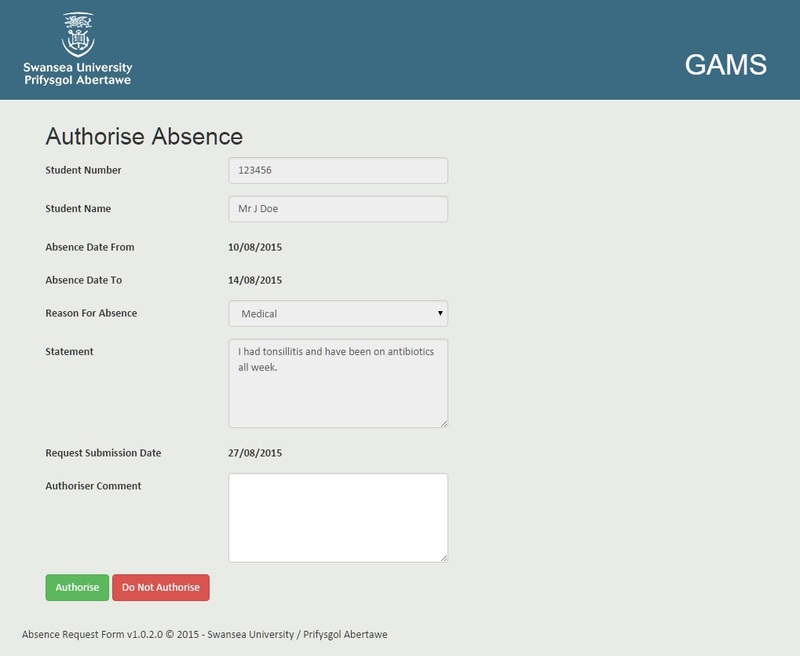 Swansea University FAQ - How do I authorise a GAMS absence request? 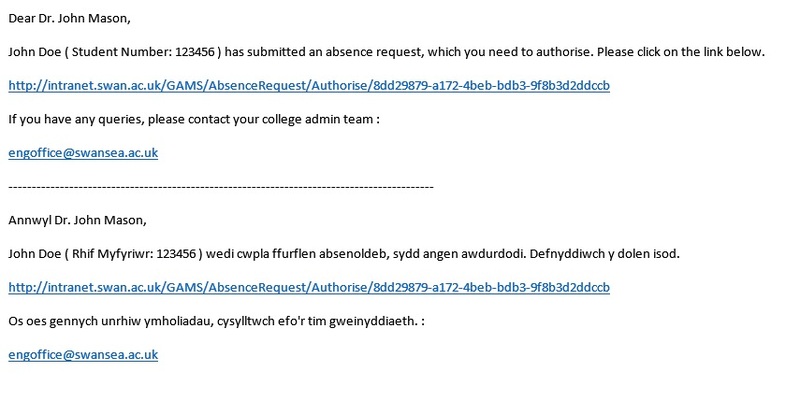 When a student submits an absence request, the relevant contact will receive an email containing a link. 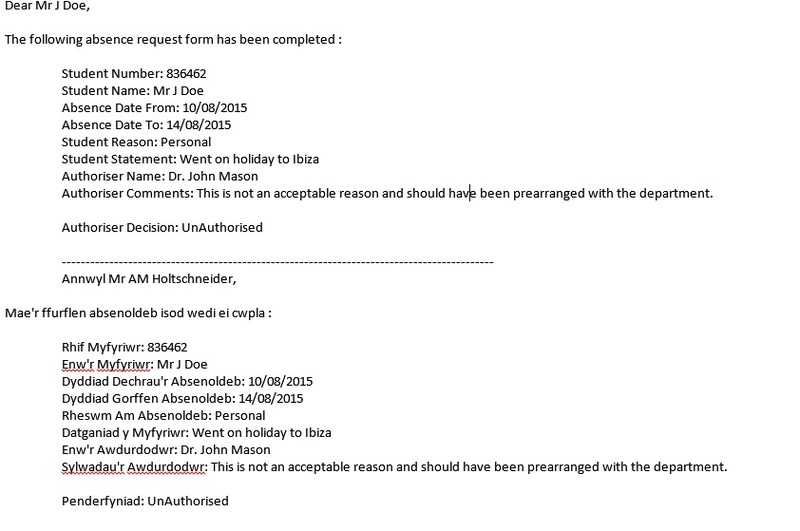 Click on the link to open up the absence request form. The fields are pre-populated with the values entered by the student. To authorise the absence, enter a comment relating to the absence. Then click Authorise. You are then informed an email has been sent to the student and the admin team. 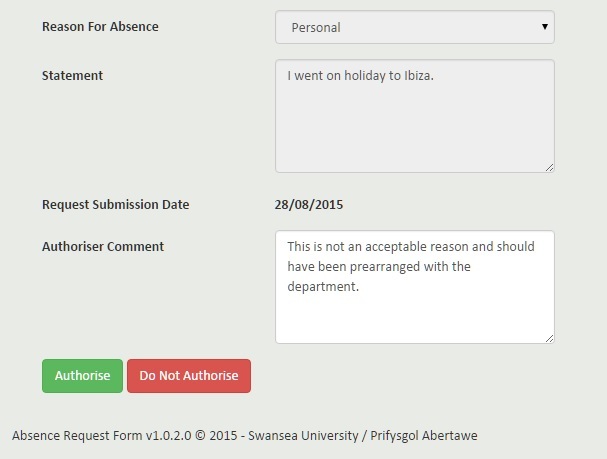 To not authorise an absence, enter an Authoriser Comment and click Do Not Authorise. The following is an example of the email that is sent to the student and the department admin team. I have now decided I would like to take a year out. Can I request deferred entry?